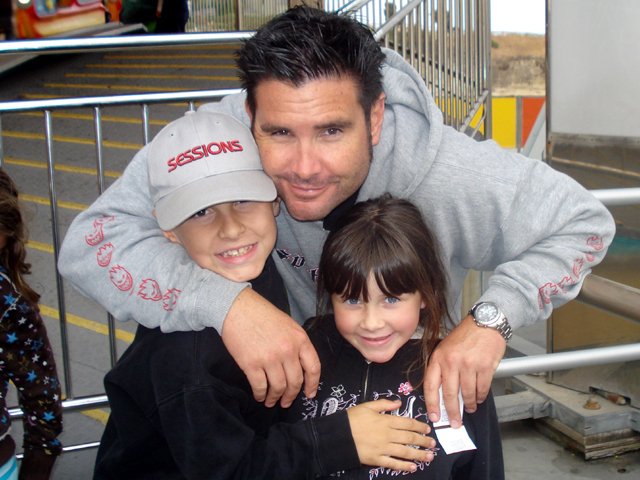 (CBS/KCAL/AP) LOS ANGELES - A key prosecution witness to the vicious attack on Giants fan Bryan Stow died unexpectedly this weekend. Matthew Lee, one of the men with Stow who was also attacked, reportedly died from an allergic reaction after he ate a salad containing nuts. Meanwhile, newly released details in court documents obtained by CBS station KCAL indicate that Stow and his friends were not the first San Francisco Giants fans targeted that day by a pair of suspects in the brutal beating that left Stow with brain injuries on March 31. Detectives think suspects Louie Sanchez and Marvin Norwood initially went after a group of young Giants fans in the stadium parking lot after the Dodger victory, with Sanchez taking a swing at one of them. Then, Stow, a paramedic from Santa Cruz, and a group of friends walked past as Sanchez stood by his sister's car. Sanchez hit two of them before chasing down Stow and punching him from behind in the side of his head, prosecutors said in a court document filed Monday. Sanchez then kicked the unconscious Stow several times in the head while Stow's friends tried to shield him with their bodies, prosecutors said. Norwood is also accused of kicking Stow then standing over his prone body and saying, "Who else wants to fight?" According to KCBS, the document was filed as part of a bail reduction hearing for Sanchez. It provides the most accurate account yet of the attack that left Stow near death and has kept him hospitalized for four months. Sanchez, 29, and Norwood, 30, have been charged with mayhem, assault, battery and other counts in the beating of Stow. On Monday, a judge continued the request to reduce bail for Sanchez from $500,000 to $100,000. Arraignment for both men is set for Aug. 10.